Hong Kong’s ETF market is one of the largest and most active in Asia and has seen significant growth in recent years. There are currently 174 ETFs listed on the Stock Exchange of Hong Kong Limited1 (HKSE) compared with 69 at the end of 2010. Hong Kong’s ETF market began in 1999 with the launch of the Hong Kong Government’s Tracker Fund of Hong Kong, which remains one of Hong Kong’s most actively traded ETFs. Today, the majority of Hong Kong’s ETFs are equity, RQFII (Renminbi Qualified Foreign Institutional Investors) A-share and synthetic A-share ETFs. Recent years have also seen more international ETF fund managers listing in Hong Kong. 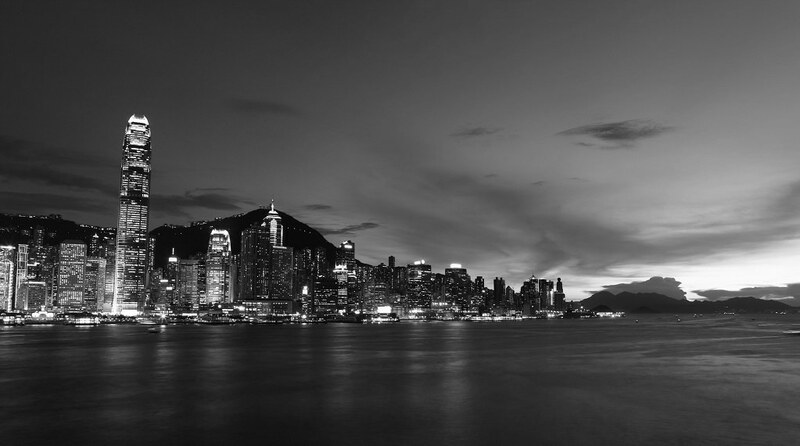 US-based Vanguard Investments, for example, has five Hong Kong listed ETFs and in 2014, the first Canadian ETF fund manager, BMO Asset Management (Asia) listed three ETFs in Hong Kong. like share trading, trades are settled on T+2 basis. ETFs listed in Hong Kong can be either physical or synthetic. A physical ETF will invest in the constituents of the underlying index in broadly the same proportions represented in the index (i.e. “full physical replication”). Alternatively, the ETF may invest in a portfolio which has a high degree of correlation with the underlying index (i.e. “representative sampling”). The use of sampling where certain securities in the portfolio are not constituent securities of the index is allowed if the portfolio matches the characteristics of the index. Synthetic ETFs do not invest in the constituents of the underlying index, but instead invest in financial derivative instruments to replicate the benchmark’s performance. ETFs are required to hold collateral when investing in derivatives. The net risk exposure of an ETF to a single counterparty cannot exceed 10% of NAV. In Hong Kong, ETFs need to apply to the Securities and Futures Commission (SFC) for authorisation as collective investment schemes (CIS) under section 104 of the Securities and Futures Ordinance (Cap. 571 of the Laws of Hong Kong) (the SFO) and to the HKSE for listing under Chapter 20 of the HKSE’s Rules Governing the Listing of Securities (Listing Rules). In the past, application for SFC authorisation was required to be made first, and after obtaining “approval in principle” from the SFC, a formal listing application for listing of the ETF was submitted to the HKSE. Where a new CIS applicant has appointed a listing agent which is required to discharge the functions equivalent to those of a sponsor, the CIS must publish an Application Proof of its listing document on the HKSE’s website at the same time as the CIS applicant files an application for authorisation with the SFC (paragraph 9 of Practice Note 22 to the Listing Rules). A Post Hearing Information Pack (“PHIP”) must be submitted for publication on the Exchange’s website upon receipt of an approval in principle letter from the SFC together with a request to post a PHIP (paragraph 12 of Practice Note 22 to the Listing Rules). The HKSE will normally grant a listing to ETFs authorised as CIS by the SFC, although SFC authorisation does not guarantee a listing and the HKSE reserves the discretion to accept or reject a listing of authorised CIS. Procedures and requirements relating to seeking authorisation of CIS from the SFC are set out in the Code on Unit Trusts and Mutual Funds (the “Code”). An ETF is required to meet the general requirements for CIS set out in the Code in addition to specific requirements set out in Chapter 8.6 of the Code and in the Guidelines for Regulating Index Tracking Exchange Traded Funds (set out in Appendix I to the Code)(the ETF Guidelines). (for non-Hong Kong-based schemes i.e. if the management company is not incorporated or does not have a place of business in Hong Kong) a Hong Kong representative agreement and undertaking (for appointment of a representative, being a HK licensed entity or registered trust company, to receive applications and money, issue receipts, receive redemption notices, notify SFC of matters etc.). assets acquired by the CIS must not assume liability which is unlimited. Specific requirements for ETFs are set out in the ETF Guidelines (in Appendix I to the Code) and Chapter 8.6 of the Code. be objectively calculated and rules-based. The index provider is expected to have the necessary expertise and technical resources to construct, maintain and review the methodology and rules of the index. The SFC may ask for submission of the methodology or rules of the index. There is a requirement that the SFC must be consulted on any events which may affect the acceptability of the index. Significant events relating to the index are required to be notified to the holders of the ETF as soon as practicable. These might include a change in the methodology or rules for compiling or calculating the index, or a change in the objective or characteristics of the index. The normal restriction which limits an authorised CIS holding of securities of a single issuer to no more than 10% of the fund’s net asset value does not apply to an index fund. More than 10% of the fund’s NAV may be invested in constituent securities issued by a single issuer provided that the relevant constituent securities accounts for more than 10% of the weighting of the index and the ETF’s holding of the constituent securities does not exceed their weighting in the index. The interim and annual financial statements of the ETF must disclose a list of those constituent securities, if any, that account for more than 10% of the weighting of the index as at the end of the relevant period and their respective weightings. The statements must also provide a comparison of the ETF’s performance and the actual index performance over the relevant period. ETF’s interim and annual reports must also disclose whether the maximum limit imposed has been complied with in full. If the maximum limit has not been complied with during the relevant reporting period, this must be reported to the SFC and the reason for the non-compliance should be included in the relevant report or otherwise notified to investors. The name of the ETF must reflect the nature of an index fund. The words “index”, “tracking” and/or “tracker” are expected to appear in the ETF’s name. a statement of whether the index provider and the ETF’s management company are independent of each other and, if not, the means by which possible conflicts of interest may be addressed. the overseas stock exchange on which primary trading of the ETF takes place should have a system for efficient public dissemination of trading and other information relevant to the trading of the ETF. Information about the underlying index should either be published generally or otherwise made readily available to the public in electronic or other means. The SFC acknowledges that the regulatory framework for ETFs in some jurisdictions may meet some but not all of the above principles for recognition as an Acceptable ETF Regime. In such circumstances, the SFC may consider on a case by case basis whether these ETFs may be granted partial relief and if any alternative safeguards for investor protection should be imposed in consideration for the relief granted. ETFs that have prepared their interim and annual financial reports in accordance with their own governing overseas regulations, are relieved from full compliance with the requirements for financial reports set out in Chapter 8.6(l) and Appendix E of the Code, provided that the reports are not qualified by their auditors. While the SFC does not publish a list of Acceptable ETF Regimes, our understanding is that the United States is recognised by the SFC as an Acceptable ETF Regime. maintenance of website: as described earlier. Whenever the name of a synthetic ETF listed on the Exchange is mentioned in an offering document or marketing materials, an asterisk (*) and an annotation in English “*this is a synthetic ETF” must be included immediately after. The Exchange requires the inclusion of an “x” at the beginning of the name of each synthetic ETF’s stock name to distinguish between physical and synthetic ETFs. collateral has to be provided to limit the exposure of the ETF to the counterparty risk of the issuer of financial derivative instruments to no more than 10% of the net asset value of the ETF. The collateral must be held by the trustee/custodian of the synthetic ETF and must be readily accessible/enforceable by it without further recourse to the issuer of the financial derivative instruments. Synthetic ETFs are required to have collateral when investing in derivatives and details of the net and gross counterparty exposure and types and composition of the collateral must be published on the ETF’s website. to put in place a prudent haircut policy: in particular, where the collateral taken is in the form of equity securities, the market value of such equity collateral must be equivalent to at least 120% of the related gross counterparty risk exposure. The HKSE is responsible for listing CISs (including ETFs) and vets the listing documents and other relevant documents in respect of listing issues not covered by the Code, supervising the conduct of the listing process and monitoring continuing compliance with the Listing Rules. The HKSE will normally grant a listing in respect of a CIS which has been authorised by the SFC although this is not absolute and is subject to the discretion of the HKSE to accept or reject an application. An application for listing (which includes the proposed timetable) must be made to the HKSE, using the prescribed form set out in Form A2 in Appendix 5 of the Listing Rules. The listing application must be accompanied by the non-refundable deposit of the initial listing fee payable which is HK$20,000. The formal application must only be made after the SFC has confirmed that it has no further comments on the offer documents or such other product description documents required by the Code (“CIS Disclosure Document”). listing agreement: in connection with compliance with continuing obligations (see below). a copy of the most recent annual report and accounts of the CIS (unless the CIS is newly formed), the CIS Operator, trustee or custodian or its functional equivalent, and (if applicable) the investment adviser to the CIS. a certified copy of the board resolutions (or equivalent) of the CIS and CIS Operator authorising the making of the application for listing in the form set out in Form C3 in Appendix 5 to the Listing Rules. a copy of any application form to subscribe or purchase the CIS interests for which listing is sought. Where a new CIS applicant has appointed a listing agent which is required to discharge the functions equivalent to those of a sponsor, the CIS must publish an Application Proof of its listing document on the Exchange’s website at the same time as the CIS applicant files an application for authorisation with the SFC. A Post Hearing Information Pack (“PHIP”) must be submitted for publication on the Exchange’s website upon receipt of an approval in principle letter from the SFC together with a request to post a PHIP. be in English language and (to the extent required by the SFC) be accompanied by a Chinese translation except that in the case of a new applicant, the English language version of the listing document may be distributed separately from its Chinese translation provided that both are available at the place where, and for so long as, the distribution of such documents takes place. The listing agreement is required to be signed by and on behalf of the directors of the CIS, the CIS Operator and the trustee/custodian, the first time any CIS interests are listed and must be lodged with the HSKE at the time of submission of Form A2. filing and forwarding the specified number of copies of its corporate disclosure materials (e.g. circulars, notices, annual reports etc.) to the HKSE and authorising the HKSE to file these materials with the SFC under the Securities and Futures (Stock Market Listing) Rules. ETF managers are also required to submit a daily report for their ETFs to disclose information including NAV, AUM, total units outstanding, premium/discount etc. The SFC requires all ETFs listed on the HKSE to have at least one market maker, namely a Securities Market Maker (SMM). An ETF may be designated by HKSE for short selling with an exemption from the tick rule (i.e. permitting short sales below the best current ask price) from its listing day. Sales and transfers of the shares or units of ETFs which have a primary listing in Hong Kong and maintain their register of holders in Hong Kong are exempt from Hong Kong stamp duty. This follows the passing of the Stamp Duty Amendment Ordinance 2015 which came into effect on 13 February 2015 which extended the waiver to ETFs that track an index comprising not more than 40% of Hong Kong stocks. Previously only ETFs tracking an index comprising less than 40% of Hong Kong stocks were exempted. The stock code ranges (2800 – 2849 and 3000 – 3199) are reserved for ETFs (other than RMB ETFs). ETF managers can either choose a favourite stock code with a donation or ballot for a stock code within the range. Potential ETF managers and SMM are advised to contact the Trading Division of the HKSE in relation to admission to trading and market making arrangements as early as possible in parallel with the process of seeking SFC authorisation. ETF managers will have to apply to the Clearing Division of HKSE for the admission of the ETF units as eligible securities for deposit, clearing and settlement in CCASS before the ETF is listed. HK Conversion Agency Services Limited (HKCAS), a wholly owned subsidiary of Hong Kong Securities Clearing Company Limited (HKSCC), can act as a service agent to facilitate the book-entry deposit/withdrawal of the ETF units into/from CCASS for ETFs created/redeemed outside CCASS. The ETF manager, trustee (or custodian), registrar and Participating Dealers (“PDs”) (who must be a CCASS Participant) need to sign a service agreement with HKSCC and HKCAS. HKCAS can act as the ETF’s conversion agent. ETF managers can make use of CCASS to facilitate the settlement of unit creation and redemption instructions submitted by PDs. A participation agreement (signed by the ETF manager, trustee, PD, HKSCC and HKCAS) and a conversion agency agreement (signed by the ETF manager, HKSCC and HKCAS) are required. Potential ETF managers are advised to contact HKSE’s Clearing Division as early as possible in parallel with the process of seeking SFC authorisation. 1 As at 27 February 2017. 2 The BMO MSCI Asia Pacific Real Estate ETF.